If you’re up for a cycling challenge, but want to glide past some of Europe’s most magical scenery, we’ve got the perfect routes for bike trips in Europe. There’s nothing more exhilarating than pedaling your way up an epic hill in incredible surroundings, and then zooming down amongst dreamy landscapes. 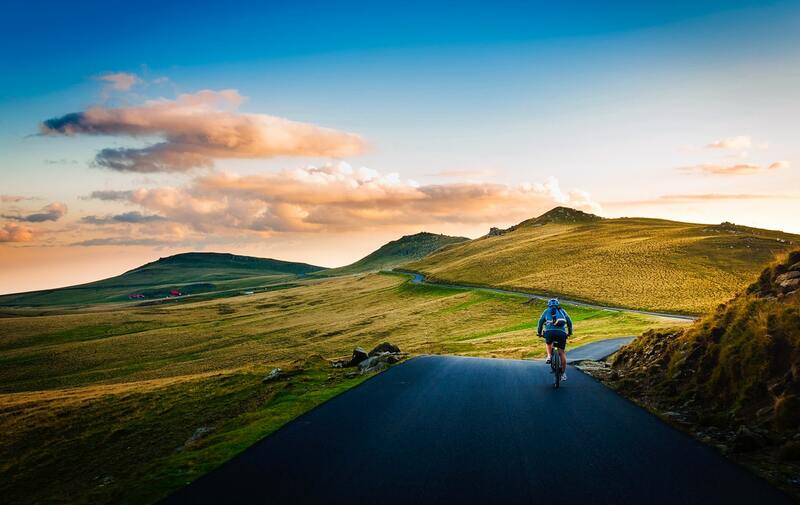 Cycling holidays in Europe provide the perfect surroundings for seasoned cyclists to work their legs, all while soaking in beautiful destinations as you glide through beautiful terrain. 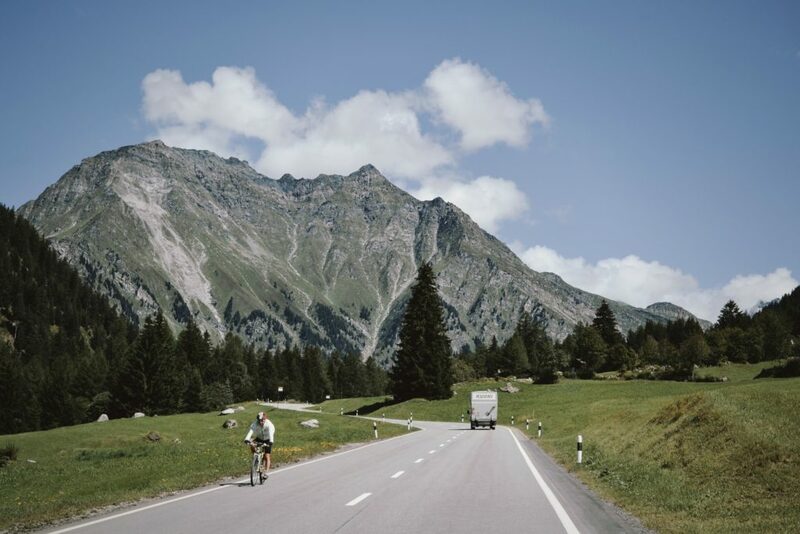 Below you’ll find two routes, one intermediate route in Austria, conjuring up images of the Sound of Music, and an advanced route in the heart of the Mid-Pyrenees mountains which has the power to test even the most seasoned of riders. The only question is which one will you pick? We think this is one of the best cycle routes in Europe, purely because of the magical setting. Climb 1255 metres and make your way up the Achen Pass which is 9 kilometres and has a 5% gradient. 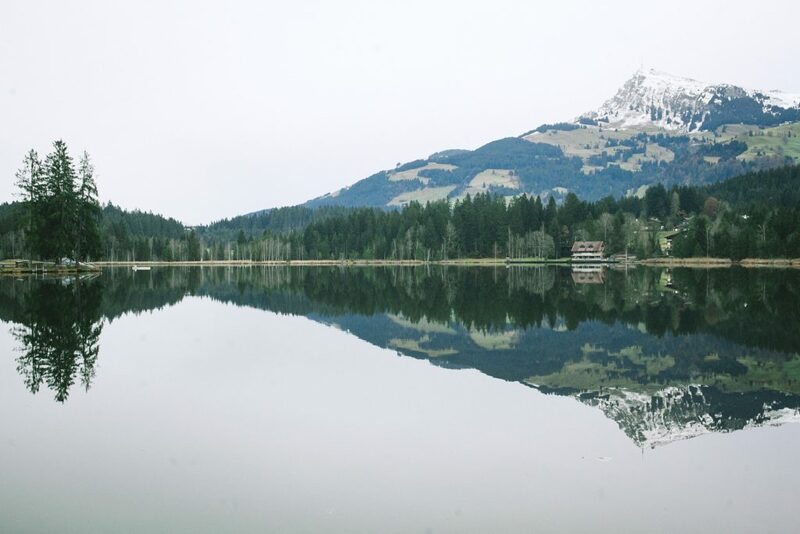 This route takes in the breath-taking Lake Achensee, which is a jaw-dropping sight any time of year. For those wanting to make the climb harder, you can climb the Kitzbuhel which is one of the tougher climbs in Austria. The first 60 kilometres of the route are relatively easy with just a few short, sharp climbs but nothing too difficult. The climb is fairly untechnical but provides you with incredible views at the summit of the surrounding lakes and valleys. You’ll be mesmerised by the beauty of the Austrian alps on all sides, and there are plenty of spots for amazing photo ops. Even though the summit is not too high, it’s still worth taking a warm jacket for when you get to the top. You will get plenty of chances to stop for coffee in the charming Austrian towns. There is a great long straight section on the descent where you can test your nerve and speed – just make sure you trust your brakes! The scenery on this route mainly consists of towering mountains and little towns with traditional Austrian houses and buildings to admire along the way. What does it feel like to cycle this route? It’s fantastic cycling this route in summer, which is a nice alternative to visiting these areas which are used predominantly for skiing in the winter. It gives you an opportunity to see the other side of Austria and its qualities in the summer months. During the higher parts of the climb, be sure to try and spot the famous Edelweiss, which tends to grow on limestone at 1500+ altitude. The contrast of the green valleys with the snow-capped mountain peaks is a wonder to behold. The area around Lake Achensee is also ideal for walking and hiking holidays, so why not pack your walking shoes, too? Even in the summer, always prepare for all weather. You’ll certainly still need a jacket in case it rains as you cycle and for the colder parts near the summit. This route includes 4,500 metres total ascent. The three climbs in this route have featured heavily on the Tour de France route. All these climbs are within the Midi-Pyrenees. The route starts relatively flat for 40 to 60 kilometres, but it’s still worth stopping off in the pretty town of Lourdes for a coffee and refuel. The first climb, Col du Tourmalet is a 19 kilometre climb with an average of 7.2% gradient. The Tourmalet is a ‘Hors Categorie’ (HC) which means it’s beyond categorisation. Essentially, not a climb to be taken lightly.. So be prepared for the challenge of a lifetime. There aren’t too many switchbacks so it makes it tough because you see the apex of the next turn being so far away. And without the presence of trees to hide what’s to come, which is the mental battle makes this route particularly challenging. The descent from the summit of the Tourmalet is around 16 kilometres – with good opportunities and long straights to pick up some speed. At the bottom, you can stop off in the town for another coffee and a cheeky cake to refuel before you start the approach to the Col d’Aspin. Now it’s time for the next climb. The Col d’Aspin has an elevation 1489 metres or 4885 feet. The climb is 12.8 kilometres gaining 642 metres (2106 feet) with an average grading of 5%. It’s a category 1 climb and an altitude of 1490 metres. Parts of the climb are quite wooded with a fair few switchbacks. Compared to the Tourmalet, this may feel like a breeze, although your legs will be heavy from the previous demanding climb. If there has been a recent Tour de France pass through, make sure you take a minute to look at the spray painted team names, signs and words of encouragement on the road – this might just help you push through the tough section of the last 3 to 4 kilometers where the gradient increases. At its peak, it’s 215 metres or 6,939 feet. The last kilometre jumps up to around 11% for an exceedingly tough finish. The descent from the Col d’Aspin is relatively short, but again, there are some good opportunities to pick up some speed. You’ll then start a short climb to the base of the Col du Peyresourde. This climb is 8.3 kilometers and an average gradient of 7.6%. It starts relatively easy and then quickly gets harder. The last three to four kilometres are a real killer after the previous climbs, with the gradient staying around 8%. Be prepared, this will really test the resolve and spirit of even the toughest and most experienced cyclists. There aren’t too many switchbacks and there will be parts that feel never-ending. But it will all be worth it for the incredible sense of achievement you will feel when you finish. The descent is sharp with some tricky sections, so make sure you have your wits about you. It then winds into Luchon, where you’ll no doubt be able to enjoy a well-deserved beer. It’s amazing cycling a route that you know Tour de France champions have gone through. There’s not many opportunities in other sports where you get to experience this. The Pyrenees are famed for their beauty and you can see snow, be baked in hot sun and take in the forest areas as well as the alpine vistas. Be sure to pack warm weather gear for the summit as you will want to get the obligatory photo of the Col du Tourmalet sign and the statue of Octav Lapize. You’ll also need warm clothes for the long descent which is around 16 kilometres. Because of the height, it will be very cold regardless of the time of year. However, if it’s a particularly warm day, you may need some lighter clothing to wear after you’ve completed the Tourmalet. For the climb you will be relatively warm because of the gradient, those who feel the cold more will benefit from a thermal top underneath their jersey. Waterproof socks are also a must, as you’ll likely be sweating. Ready to hit some of the best cycling routes in Europe? What are you waiting for? Don’t miss out on the chance to cycle the best road cycling destinations in Europe and really test yourself. You could even plan a nice relaxing break after you’ve finished cycling to refresh and restore amongst beautiful surroundings. These are some of the best European Cycling routes. 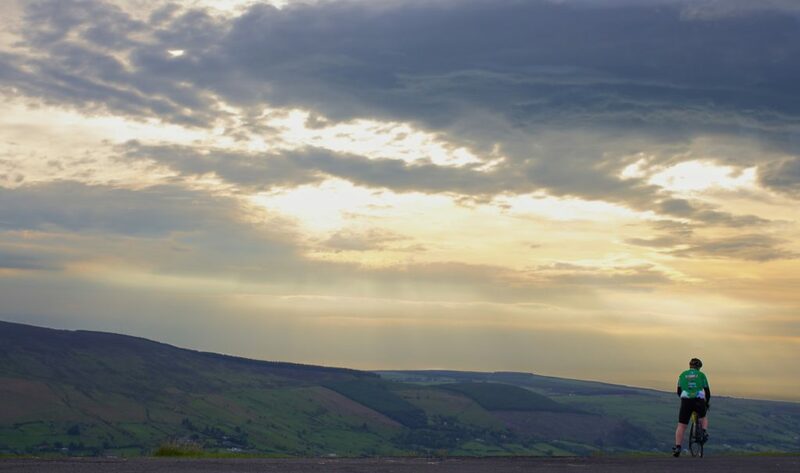 But before you go on these cycling trips, make sure you stock up on essential outdoor clothing and equipment to make your trip more comfortable and help you battle the elements on the mountains.